Due to the colours that embody this trend it's easy to incorporate it into our fall wardrobe. I love polishing a casual look off with a great military style jacket, whether it's just a baggy green jacket or one with a more sleek shape and military-like embellishments. Remember this isn't just about making sure you're wearing camouflage of some sort but keeping your look within the darker more earthy tones of greens, cream, brown and black however don't forget blue fits into this trend too! If you are looking to wear this trend in a more dressed up manner then keep your eyes peeled for blouses or blazers that can make quite the impact. Although this isn't the first time military styles have crept in for the fall season we will see some additions of combining other trends of the moment. For example, I really love the jacket worn by the first blogger of My Daily Style. 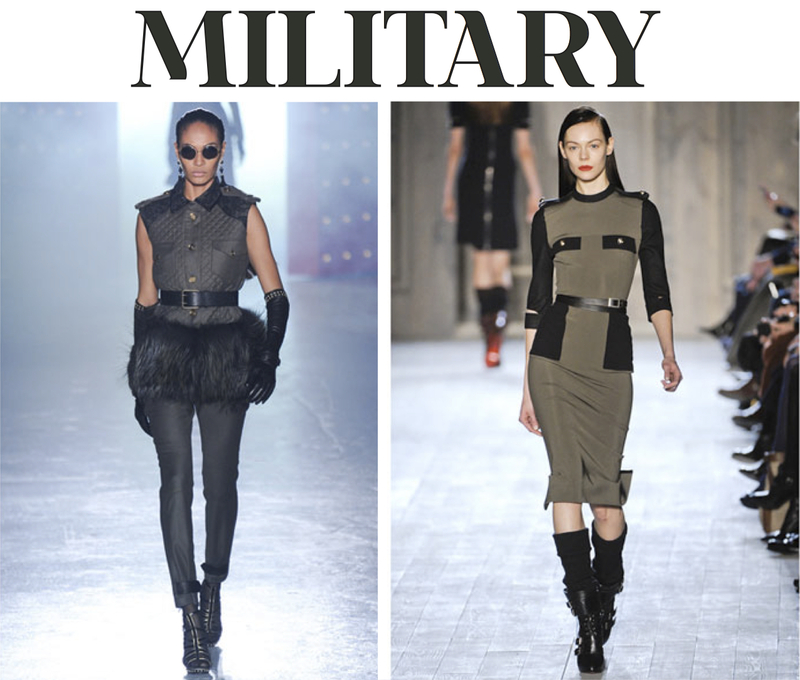 The leather sleeves update the military style jacket to a more modern look. So how about you? How do you prefer to wear this trend? It is one trend that I haven't really delved into yet... these girls all look so good though! Nice post! Thanks for the tips! Same - it's so gorge!! Not really my style but it can look so good! I would be happy to follow your blog as well -- I'm so glad I've found it!